When you need affordable accessories for your off-road motorcycle, KTM Parts Nation has all your needs covered in one convenient place. We proudly carry a comprehensive selection of KTM OEM accessories that can help you make the most of each and every ride. Whether you are looking for a specific replacement part or your dirt bike has simply seen better days, we can help you find the best solution for your specific model and year. We have conveniently categorized our inventory by year to make the process of searching for accessories and other necessities easier overall. There is an adventurous spirit that lurks in all of us, but few ever answer its call. When looking at KTM's entire off-road lineup, it is easy to see why this brand has earned a loyal following across the globe. 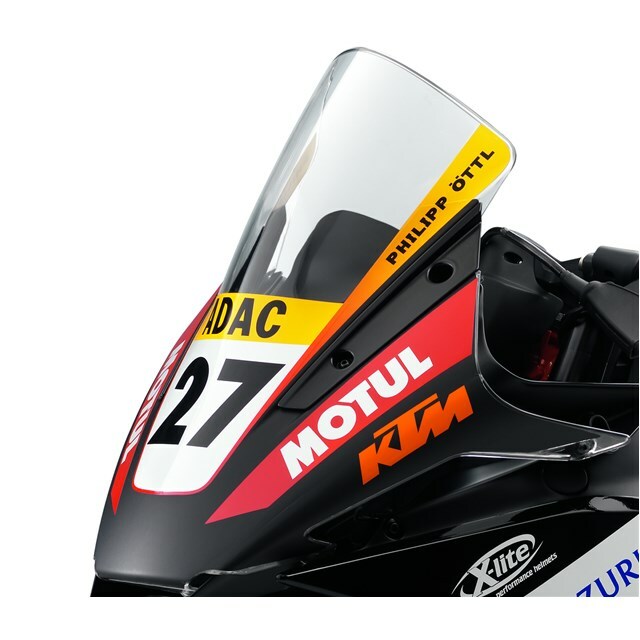 Although KTM AG as we know it today was formed in 1992, the roots of this legendary brand can be traced back to 1934, when Austrian engineer Hans Trunkenpolz originally opened the business as a vehicle repair shop. Before long, Trunkenpolz began carving out his own slice of the motorcycle market and started manufacturing his own motorcycles by 1951. His first motorcycle, the R100, set the standard for all future models to come. KTM's passion for motorsports is evident in every class-leading motorcycle they manufacture, not to mention the many impressive and innovative features they include. Whether you are dealing with a leaky fuel tank or you simply want to give your bike a boost in the technological department, you can stock up on all the KTM OEM accessories you need to get your dirt bike just the way you want it. This selection is filled with all sorts of replacement parts and upgrades that can help you turn your bike into a force to be reckoned with. Our selection of software extensions includes off-road packs for optimal brake effectiveness, hill hold control to assist with stopping or starting on inclines, and motor slip regulation to increase safety on slippery surfaces. Stay better connected to your riding buddies by browsing our assortment of navigation accessories, including GPS mounts, smartphone holders, and travel bags for your other devices. We also supply alarm systems, auxiliary lamps, wiring harnesses, batteries, and other electrical essentials. Our selection of KTM accessories features foot pegs and comfort inserts to give you more control as well as "racing bubble" windscreens to make you more aerodynamic. Part of being a responsible dirt bike owner and rider is routine maintenance. Even though you have followed all the recommended intervals, kept immaculate records, and cleaned your bike regularly, no machine is safe from the abuses of off-road riding. Has your dirt bike's air filter become clogged? To keep it filtering out harmful dirt and debris, we carry a handful of dust, rain, and sand covers as well as replacement filters and dust protection kits for intake systems. We also keep our inventory stocked with all the oils and chemicals and diligent dirt bike rider could ever need, including grip glue, chain lube, brake fluid, filter oil, coolant, cleaners, and much more. If you have any questions about our selection of KTM OEM accessories or need help finding a specific product, please feel free to contact us for additional information or further assistance.